since 1967, scotchman® industries has been specializing in the design and manufacturing of fabricating, sawing and measuring equipment including hydraulic ironworkers, circular cold saws, band saws, manual measuring devices and programmable stop and feed systems for welding-fabricating machine shops to fortune 500 companies. 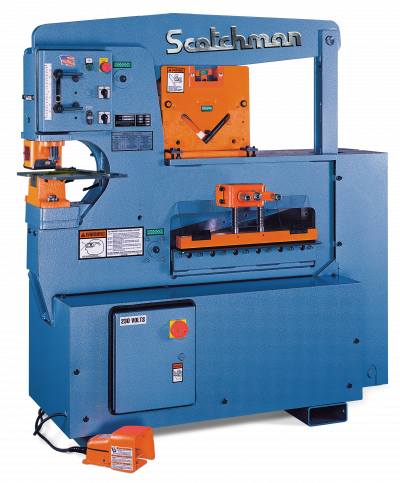 over 40 years experience enables scotchman® to determine the best ironworker or sawing machine to meet particular production goals and needs. 44 ModelsView more about Scotchman Industries, Inc. Looking to Purchase a New SCOTCHMAN 6509-24M? Looking for a USED 6509-24M?Have one to sell? M & R Machine & Tool, Inc.